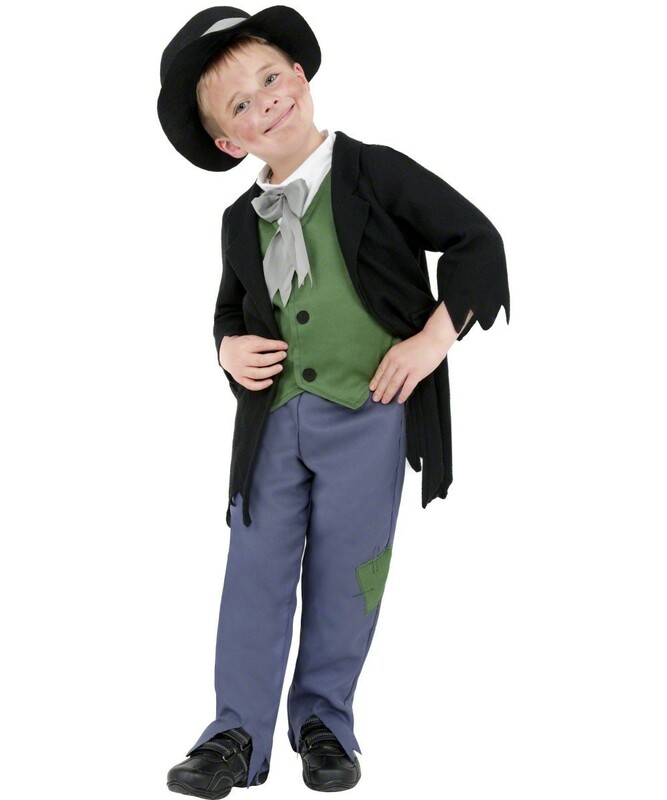 This three piece costume includes Trousers, Top and Hat. The Jacket has an attached inner shirt and waistcoat (these are sown together and cannot be separated), a pair of brown Trousers with ragged seam (and elasticated waist) and a fabric top hat to complete the look. 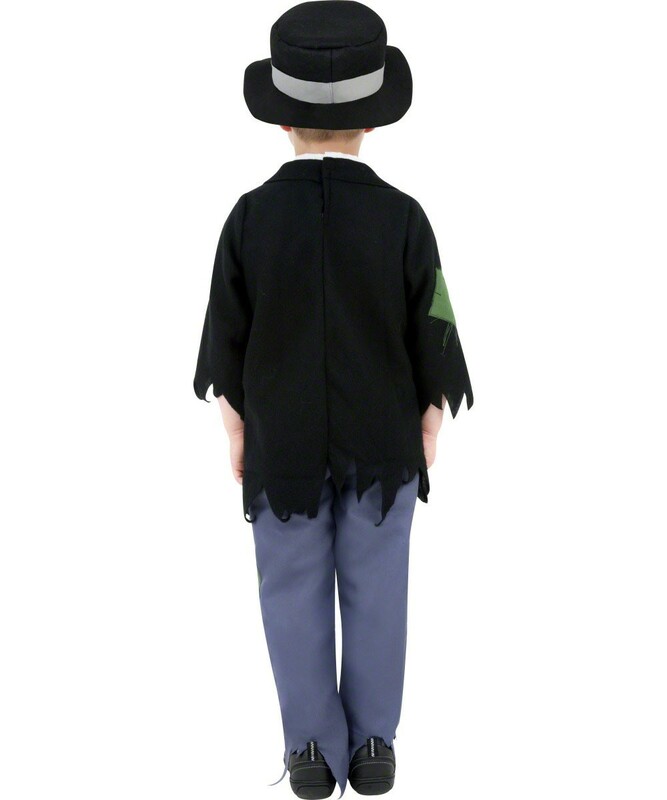 This Children’s great value three piece fancy dress costume is perfect for any School Book Week or historical fancy dress event. Based on an Artful Dodger style this ‘dodgy’ Victorian is a really fun outfit!